If you are considering purchasing a property to let out to tenants, there are several important decisions to be made in order to maximise your investment. Here at Leaders, we take the time to fully understand your goals, budgets and priorities so that we can offer expert buy-to-let advice; from finding the right location and property, through to how to boost your returns and realising your investment when you decide to. Whether you are investing in your first buy-to-let property or expanding an existing portfolio, we are here to help throughout. For more information on the latest tax regulations and expert updates from our specialist tax partner Kreston Reeves click here. Expert and up-to-date advice for landlords from our tax partners. If you invest with Leaders, you not only get the best advice from property professionals, but you will also have access to specially chosen investment properties with excellent potential through our Property Investment Hub. From houses and flats with a rental history to properties that have tenants in situ, we have hand selected some of the best investments across the UK and collated them exclusively for our members. By joining the Property Investment Hub, you will benefit from local market knowledge and insight, updates on landlord law and tax changes, as well as the ability to reach interested investment buyers when you are ready to sell your property. Plus, it’s all completely free. Looking to buy an investment at auction? Our sister company Romans can help. If you are a new landlord, you can take advantage of our extensive experience in lettings to help guide you with the choices you will have – from whether you will benefit most from gaining at a higher rental yield, or earn more from a property which stands to gain from capital appreciation over the time it is let. We will work with you to set a realistic asking price and ensure you are fully compliant with the latest changes in legislation. You will also be protected should any legal fees need to be covered. Take advantage of our extensive experience in lettings. When considering investing in property, we understand how important it is to speak directly with someone who can help with the difficult decisions. Our friendly local area experts are a phone call, email or branch visit away. So any questions you have, our team are ready to answer them. The perfect investment property for you might not be in your local area, but our network of branches across the UK means that our reach to high quality potential tenants is national. We will advertise your property on all major property portals, as well as on our website and via social media and local area press. 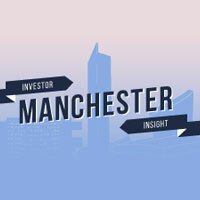 Find out why Manchester has become a desirable investor hotspot. 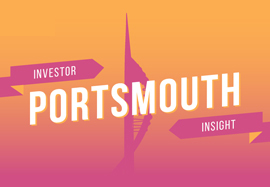 Portsmouth is a popular choice for students and young families, find out why. 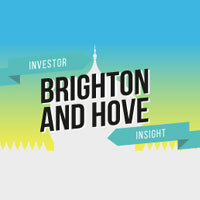 Explore the reasons why buy-to-let landlords are investing in Brighton & Hove.